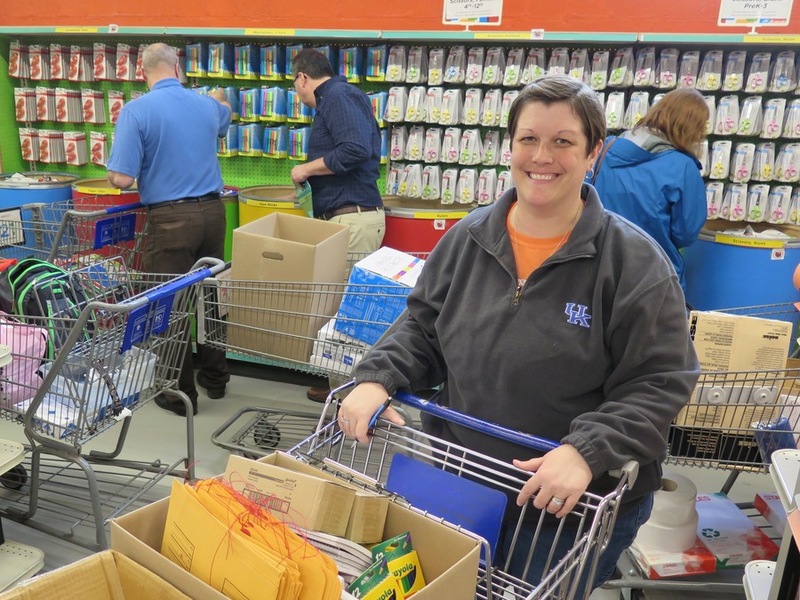 CINCINNATI -- At least once a month for the past 10 years, teachers or administrators from tiny Augusta Independent Schools in Bracken County have made the hour-long drive to Crayons to Computers in Bond Hill. 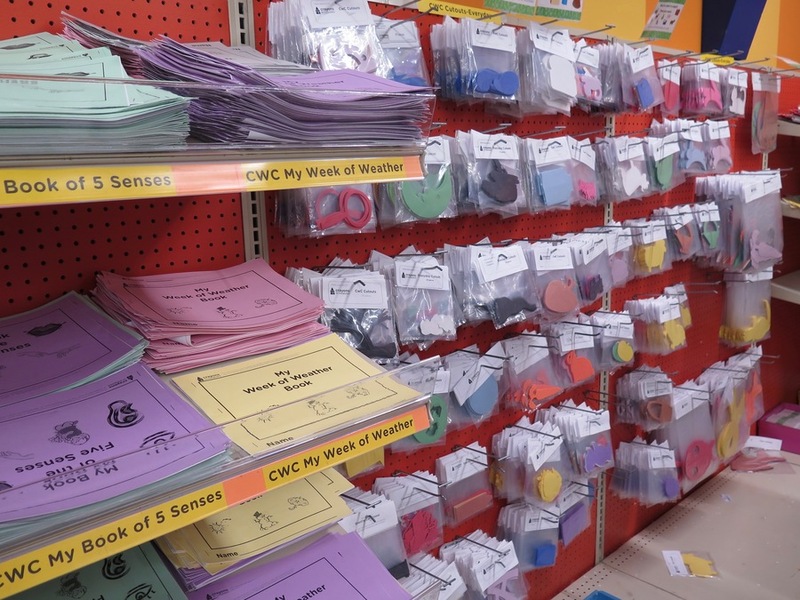 There, they can stock up on everything from paper and pencils to books and dry erase markers to make sure their students have the supplies they need to succeed in school. And it’s free. New crayons or paper or pencils for every student in an entire class can add up for teachers, too. In fact, teachers often spend anywhere from $500 to $1,000 of their own money each year to make sure their students have the school supplies, incentive items and classroom enhancements they need, said Amy Cheney, president and CEO of Crayons to Computers. The idea behind Crayons to Computers is to take some of that financial pressure off teachers who work in school districts whose students don’t have the money to buy what they need. Schools qualify if 60 percent or more of their students are eligible for free or reduced-price lunch. That kind of help is more important than ever, Cheney said, with teachers facing increasing financial pressures that have led to statehouse protests in Kentucky, West Virginia, Oklahoma and Arizona. Crayons to Computer CEO Amy Cheney, right, and Stephen Bernstein, director of marketing and communications. Over the past 21 years, the nonprofit has provided a total of $160 million worth of free school supplies to teachers throughout its 16-county area. More than 12,000 teachers work in the schools that Crayons to Computers serves, and Cheney said the number of students in need tops 150,000. Since it started in 1997, Crayons to Computers has changed as necessary to meet the needs of the teachers and schools it aims to help. More than a decade ago, the organization began partnering with the Ohio Department of Rehabilitation and Corrections and the Ohio Department of Youth Services for its Crafts with Conviction program. In that program, incarcerated men, women and youth take raw materials and turn them into flash cards, journals and book bags that Crayons to Computers then distributes through its free store. The program has generated millions of dollars worth of products, and the “chair pockets” that the inmates make, which hold students’ school supplies in divided pouches that hang on the backs of their chairs, are one of the store’s most popular items, Cheney said. In 2013 the organization expanded using a $108,000 grant from Impact 100 to launch a new mobile outreach program. Crayons to Computers outfitted a box truck to take free school supplies and resources to the most distant schools in its service area. The truck visits Augusta Independent Schools sometimes, and every teacher at the school gets supplies from it when it does, Brewer said. More recently, Crayons to Computers has decided to focus its efforts on the supplies that schools need most and the grade levels where those supplies can have the most impact. “Our focus is to work on serving schools that have the highest levels of need and start with the youngest children,” Cheney said. Because kindergarten readiness and ensuring that students are reading at grade level by third grade are so important, Cheney said the organization is placing more emphasis on preschool through third grade. “We still are here for preschool through 12th grade, but we want to make sure we’re giving kids at the early ages a good start to their school year and making sure they have what they need to do well,” she said. That’s crucial for school districts that have lots of low-income students, said Mary Melville, who was a teacher for many years at Ludlow Independent Schools and now teaches gifted students one day a week at Southgate Independent School District. 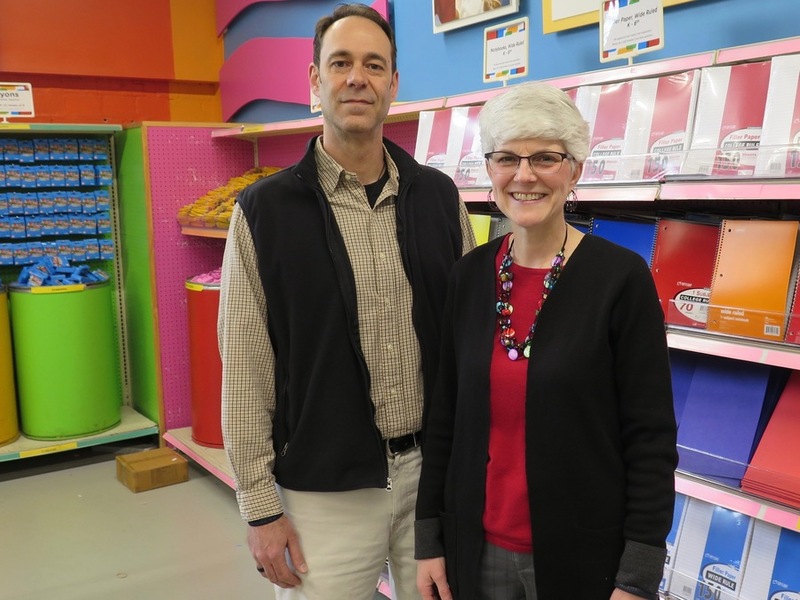 Melville said she has been shopping at Crayons to Computers for nearly 20 years. Melville used to spend several hundred dollars of her own money each year to make sure her students had what they needed for class. She said she knows some people might wonder why teachers don’t just skip that stuff instead of buying it themselves, but it’s not that simple. Every new pencil and fresh eraser tells students they matter. 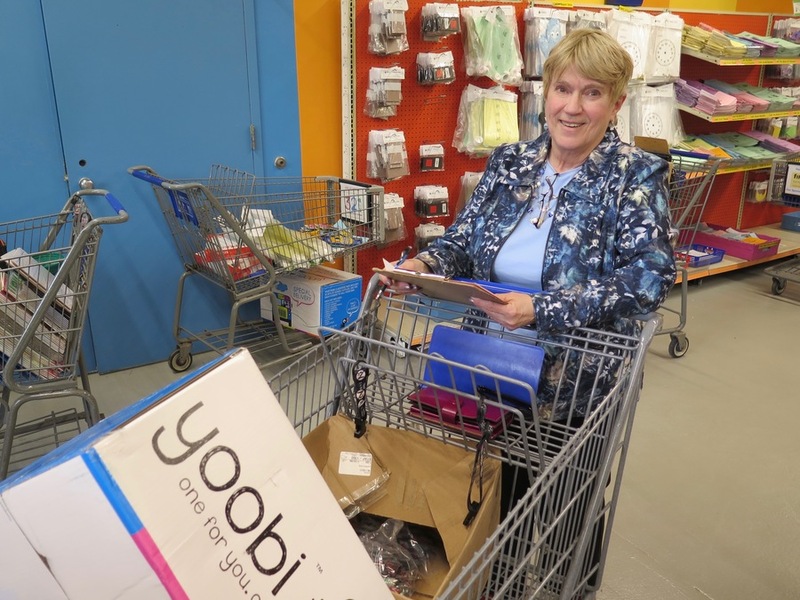 And when Brewer left Crayons to Computers earlier this month, her cart packed with colored pencils, notebooks and other supplies worth $994.96 helped reinforce the message that she and the teachers at Augusta Independent matter, too. Crayons to Computers is located in Bond Hill. 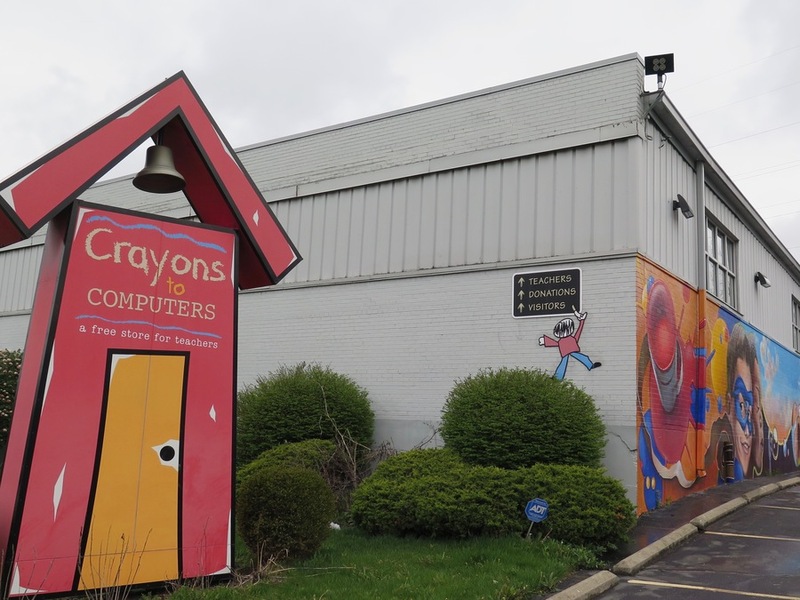 Crayons to Computers will host its fourth annual “Are You Smarter than a 5th Grader: A Game Changer for Kids” fundraising event from 6 p.m. to 9:30 p.m. on May 12 at its Bond Hill location. WCPO 9 On Your Side anchor Ryan Houston will emcee the event. More information is available online .